The air is crisp and the temperatures are dropping. Although the arrival of fall in Las Vegas isn’t as pronounced as in other areas of the country, it does get cooler and the change of the seasons is noticeable. The fall season and the transition it provides into winter is a perfect theme for quality fun for your kids. Fall’s splendor makes itself known in the changing color of leaves. If you go for a short drive, you’ll soon find some leaves changing colors. Enjoy a day of hiking, leaf collecting or picture taking. If you collect leaves, you can take them home and press them between the pages of heavy books. Once flat (give them about a week or two), take them out to use as decorations for your table or mantelpiece. Apple cider is a delicious fall treat that you can make even more special by turning it into hot apple cider! Explore the spices of fall with your children as you make it, allowing them to smell each one as you add them to the pot. Not sure how to make your own hot apple cider? Try this recipe. Take a trip to one of the many farmer’s markets in the Vegas area. 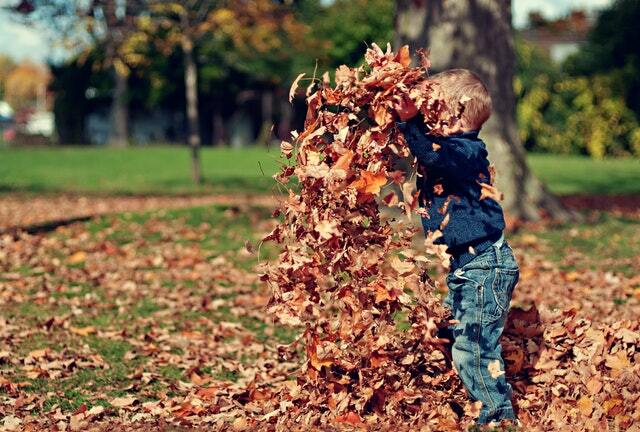 Give your child a list of items to check off see if they can spot all of the fall items. You might include: pumpkins or squash, sweet potatoes, apples, apple cider, turkey, pumpkin baked goods, hats and scarves, and more! Then, of course, you’ll have to pick up a few goodies to take home with you. Fall baking with the season’s produce is another classic way to enjoy the season. Pumpkin pies and cookies and apple pies and cakes are some of the best sweets you can enjoy making together. Encourage your child to participate in the process, from the beginning all the way to tasting the finished product. Children can also write about and draw pictures of the seasonal ingredients. This seasonal seed can be found in the Vegas areas wherever there are pine trees. Or, you can head out to the Spring Mountain National Recreation Area where pine trees abound. Go pine cone collecting, of course make sure you have permission first. Keep your pine cones in a decorative basket or paint them with fall colors at home. There is endless fun to be had with fall. The colors, scents and sights of the season are unique and especially enjoyable for children. Embrace the season by getting out there and experiencing it in all of its glory through the above activities. For those fall evenings when you’d like to take a break from the kids, remember to call your trusty Las Vegas nanny service provider, Certified Nannies. We wish you a safe and happy fall!